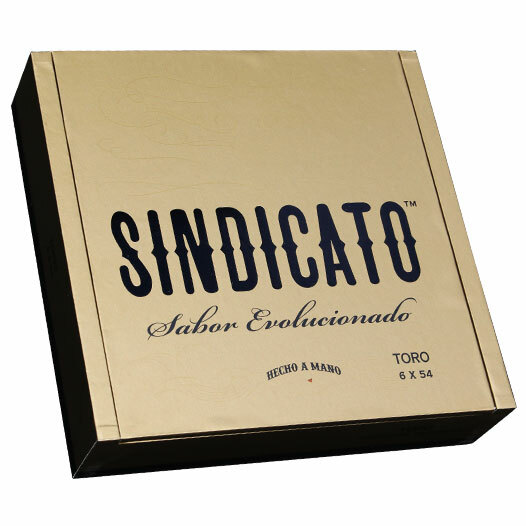 As the talk of the cigar world, Sindicato Cigars has made a huge splash with their first three releases. Now, they're introducing their new flagship cigar - the Sindicato. With a thorough and relentless effort to scour the globe for the finest tobaccos and most creative blenders, Sindicato Cigars has found their perfect blend. The Sindicato uses a limited, shade-grown Corojo wrapper from Eduardo Fernandez in Jalapa, Nicaragua. With an EstelÃ­ double leaf binder, and EstelÃ­ and Jalapa Nicaraguan fillers, the cigar has been beautifully crafted by master blender Arsenio Ramos to showcase a unique, rich flavor profile. The cigar is box-pressed, giving a perfect draw and medium-full strength flavors you won't soon forget.